Michaels’s challenged me to show where I craft! While I have a craft room it is more like a supply room. I really never ever craft there. I realized I normally craft on the go. I always have a little project (usually crochet) to take along with me to work on while I wait for kids, meetings or watching TV. I normally shove everything haphazardly into a tote. It isn’t convenient and I usually have to drag everything out to find my supplies to work on my project. I found this cute little crafter’s purse at Michael’s and it has helped me get my projects on the go organized. Look right at my finger tips everything I need. No digging involved! 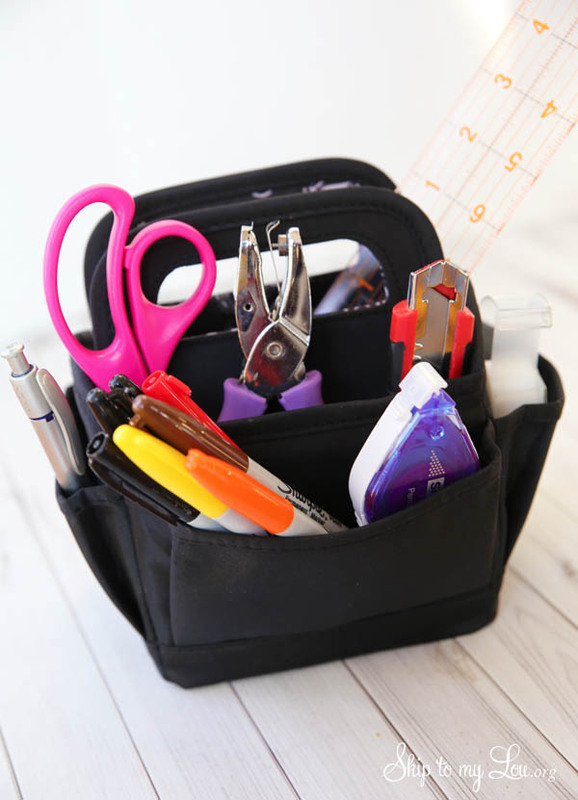 It even comes with a zippered pouch to keep extra supplies organized. 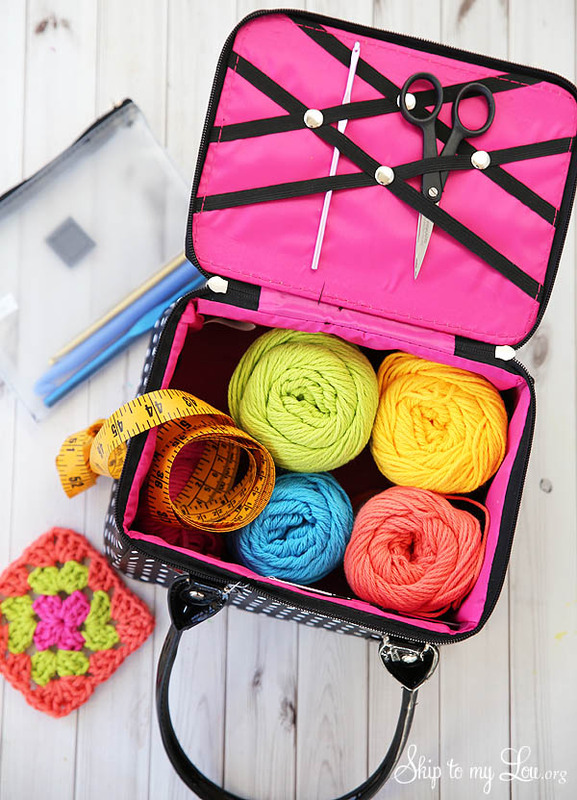 So whether on the go or cozy at home everything for my crochet project is neatly organized! With everything organized and ready to go I am working on a crochet heart garland for my daughter’s bedroom. 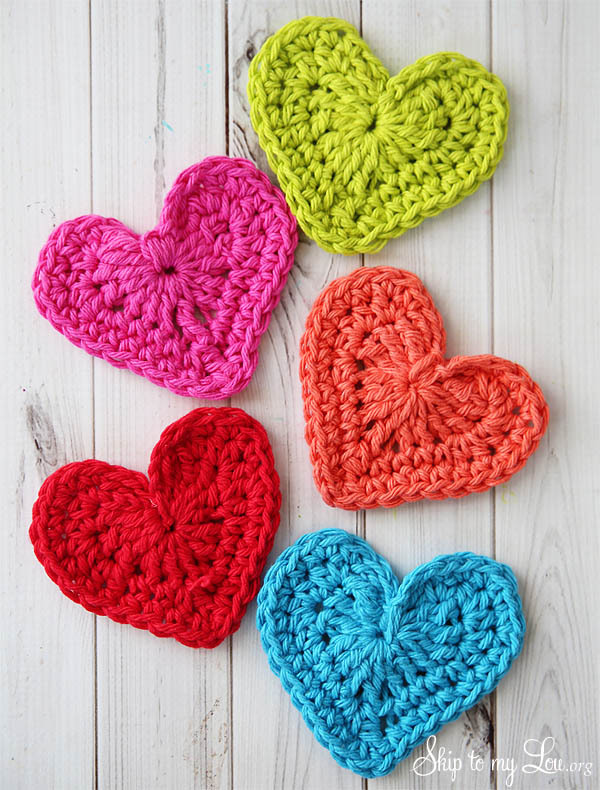 These crochet hearts work up super quick! 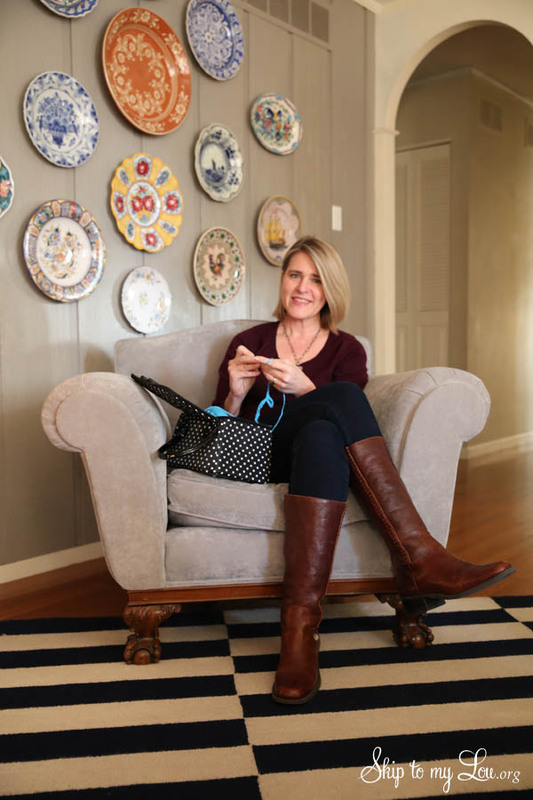 The crochet heart also makes a darling embellishment for this crochet coffee cozy. I also craft where the light is best so I can get good photos of my projects. I found this little tote that keeps supplies handy and ready to carry around my house! No more looking for the items I use most! These clever totes are how I am keeping organized! Thats organized crafting! 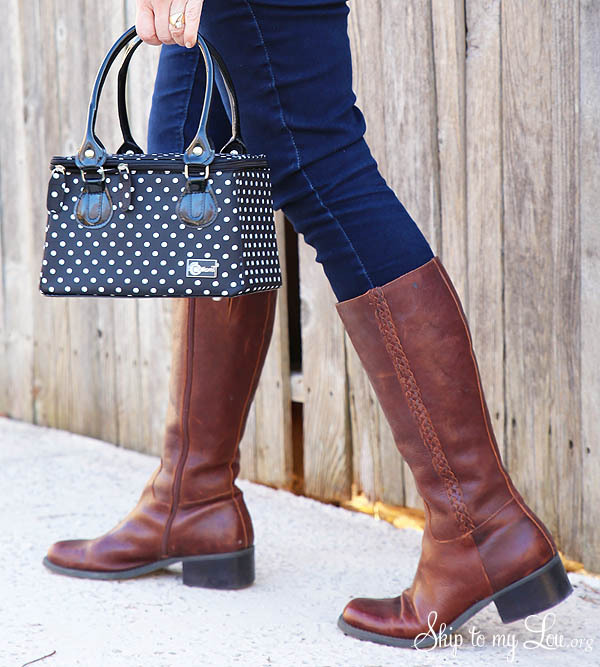 Enough of the craft bags ;) where did you get those fabulous boots?